Bring Girls Who Code to Your Library! Help us close the gender gap in tech! Girls Who Code is a free program designed for 6th-12th grade girls to explore coding in a fun and friendly environment. Clubs are typically hosted in schools, colleges, libraries, and community centers during the academic year. 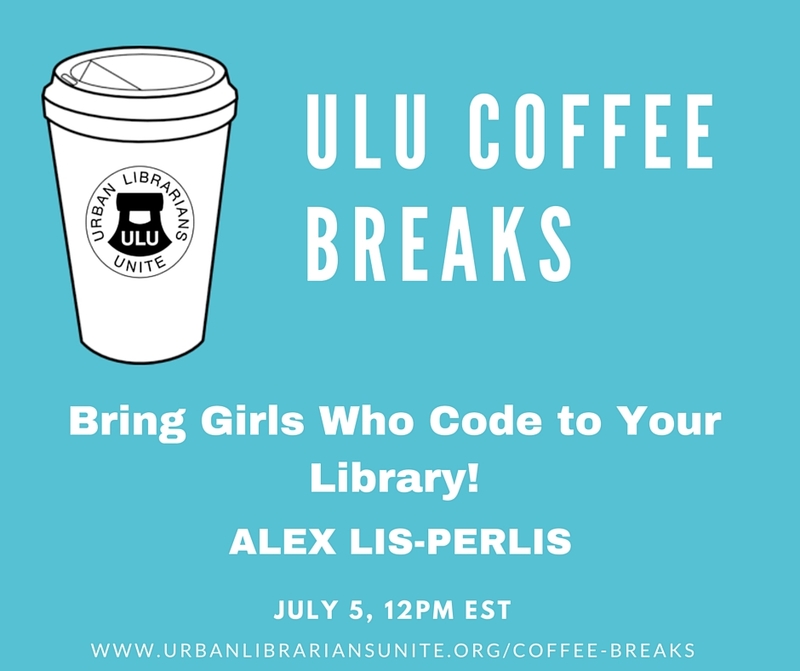 Join me to hear more about the benefits Girls Who Code can bring to your library community!